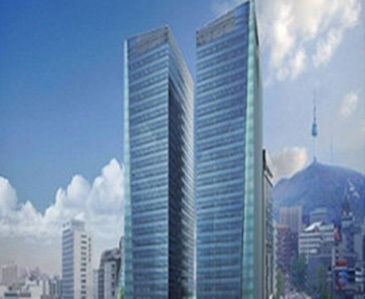 The State Oil Fund of Azerbaijan (SOFAZ) has purchased prime office complex, “Pine Avenue Tower A” in Seoul, South Korea for USD 447 million, Azerbaijan Embassy in Seoul announced on April 4, 2014. In a news release received by The Seoul Times on the day the embassy said that the purchase of the property has been realized through a competitive auction process organized by Mirae Asset Management on behalf of the four owners (NongHyup Bank, NongHyup Life insurance, Woori Bank and KDB Life Insurance). This is the first acquisition by SOFAZ in the Asia Pacific region. According to SOFAZ website information “Seoul is one of the most attractive investment destinations in Asia providing steady gains across the office sector for many years. It is underpinned by a strong domestic economy and a well-capitalized financial sector. SOFAZ sought investment opportunities in key gateway Asian capitals for over a year and have finally made its first acquisition in Seoul. This is a large transaction and shows SOFAZ belief in the continued strength of major Asian real estate markets which have shown stable returns historically”. “Pine Avenue Tower A” is located in central business district (CBD) of Seoul, a sought after area by leading Korean as well as international tenants. The property was built in 2011 and is one of the very few trophy assets recently completed in the Seoul CBD area. The property’s Class A specifications position it well to cater to the needs of discerning tenants, generating long term value. The gross floor area (GFA) of the property is approximately 65,000 m2. The asset is solely leased to S&K Group, one of the largest conglomerates of South Korea. Net rental income of the asset is USD 23.4 million per year. The State Oil Fund of Azerbaijan, the sovereign wealth fund, was set up in December 1999 by the Presidential Decree as an extra-budgetary entity which accumulates and manages oil and gas revenues of the country. The Fund’s primary objectives are to help maintain macroeconomic stability in the country and to generate wealth for present and future generations. By the investment policy overall value of the investment portfolio can be invested into the gold, equities and real estate with maximum limit of up to 5 % per each financial tool.